The people of Thailand undeniably lived up to the hype. Their overly-friendly personalities, curiosity with foreigners and general sense of happiness far exceeded any other country we’ve visited. The “Land of Smiles” is not only an incredible country to visit, but also a place to experience some of the world’s best hospitality and nicest people. 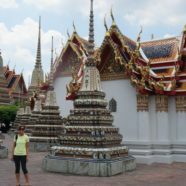 I love Thailand! It’s people are friendly and welcoming, the food is delicious, and the landscape strikes a wonderful balance between thriving cities and nature. 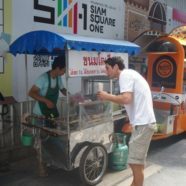 I enjoy greeting locals and foreigners alike with a rousing “sawadee ka” (took me 2 weeks to pronounce this correctly). I find joy and excitement in exploring city markets. And I cannot stop myself from indulging when I see a good and affordable ($5) Thai massage shop (there is literally one on every corner!). 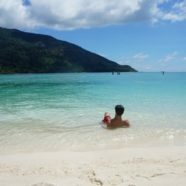 Choosing an island to visit in Thailand reminds me of gambling. I’m a cautious gambler at best, really only playing blackjack and the occasional sports bet. I’m constantly second-guessing and often regretful. You never know what’s right (or devastatingly wrong) until the cards are finally revealed. The decision on where to go brought with it similar feelings of concern. When you only have 4 days (possibly in our lifetime) to experience some of the best beaches or islands in the world, you want to make an educated, successful decision. Naturally, this evoked some anxiety, but let’s be serious, it’s probably the best dilemma I’ve ever had. There really couldn’t be a wrong decision. 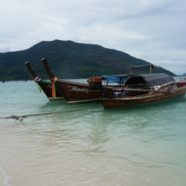 Before ever finalizing our location or stepping foot on any ferry, our research taught us that Thailand’s islands and beaches probably deserve a month to be seen properly. 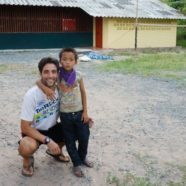 Our second volunteer project was based out of Chiang Mai, Thailand at a children’s home called Nimit Asia. 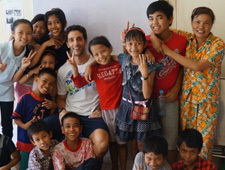 The home provides 54 boys and girls (ages 4-16) a safe place to grow up, food, and access to a modest education. 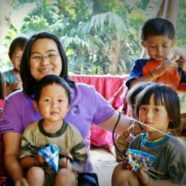 We would slowly learn the children’s stories throughout the week: some are orphans who have no one, while others still have one parent or grandparent in the picture. The one commonality is that is that it seems that the opportunity to live at Nimit Asia, however briefly, is a better alternative than staying at home.